Remember the Lamborghini Huracan gifted to Pope Francis? Well, the man never drove it, as it turns out, but sent it to be auctioned for charity. So he put being Holy above experiencing those Holy Cow moments that driving a Lambo brings about. Pope’s Huracan was auctioned by RM Sotheby’s Monaco sale at Monte Carlo’s Grimaldi Forum, where it fetched an impressive €715,000 or $861,575. That was a lot higher than early speculations, given the cost of a standard, non-holy Lamborghini Huracan. Besides being blessed by the world’s top Catholic, this Huracan also boasts a number of exclusive features fitted by Ad Personam, Lamborghini’s bespoke division that deals with special options and one-off commissions. 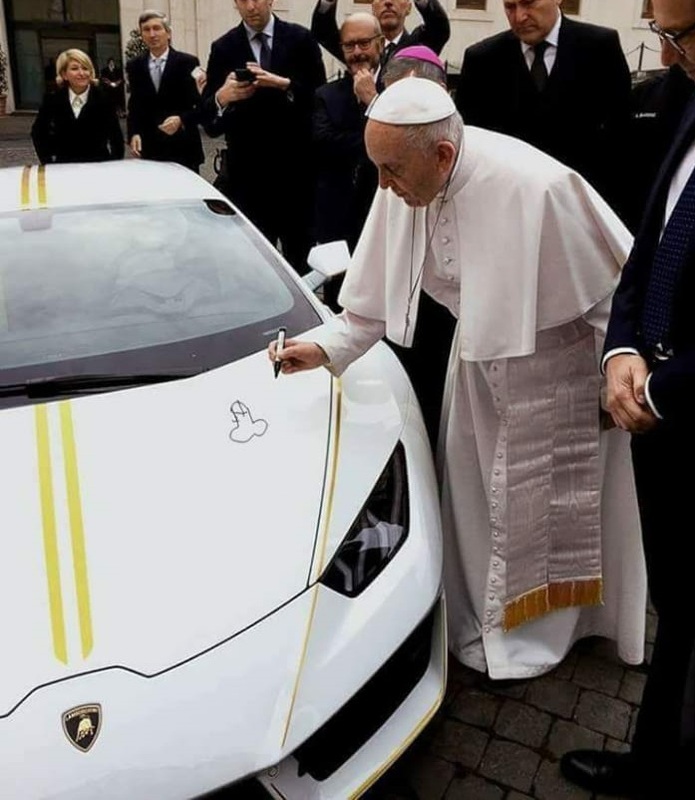 What sets the Papal Huracan apart from regular models is a golden stripe package that, set on a Bianco white body, pays homage to the Vatican flag. The rest of it is standard, meaning the buyer gets a V10 with 570 horsepower and one of the sexiest exhaust noises out there. The proceeds from the sales of the Lambo will benefit a number of the Pope’s favorite charities, including a foundation that helps Iraqi Christians, Amici per il Centrafrica Onlus, Groupe International Chirurgiens Amis de la Main, Pope John XXIII Community Association. The post Pope’s Lamborghini Huracan Sold for $861K at Auction appeared first on Motorward.